Alright guys this is the Canon Equipment list, you can find everything here that you will need when designing your character's basic inventory. The pack itself is square in shape, but maintains like a satchel, it can be held and attached various ways and weighs very little. Most objects are useless and even dangerous without medical training. Description: A basic salve that helps clot bleeding and cleanse infected wounds slightly, not good at curing anything, but very good at keeping small wounds in check. Description: A bottle of medical anesthetic chemicals, used for keeping medical tools of trade clean and operational to avoid infection. Description: Not your everyday kind of medicine, this is used in emergency situations where a patient needs to be kept awake as the adrenaline is too much for an active body to handle and continue functioning. The needle itself isn't durable at all, and if used on a moving or struggling target will break before it can be injected. Description: A concealed weapon often referred to as a "Ninja Star," the shuriken resembles a pointed star that can be used for throwing from long distances and even stabbing. Excellent diversionary weapons. Description: A throwing knife with a ring at the end. Can be thrown from afar and can also be used as a close-ranged weapon. Great for both offensive and defensive purposes and many can be carried at once. Description: Long, narrow needles that are thrown with great accuracy, but with little power. Often used by medical-nin and can be utilized for acupuncture purposes. Also many can be carried without taking up too much space on one's bode. Description: Wires can be used to a numerous amount of results from climbing to setting up traps. Usually made of a very fine (but strong and durable) material, those not trained to spot such wires can be caught in them quite easily. Description: A small dagger with a blade ranging from 6 to 12 inches long (usually 10). Can be hidden and used for close ranged combat. Description: A small, gray sphere that when thrown creates a shroud of smoke that can be used for escape. Description: A carved wooden shaft with a string connected to both ends. Arrows are fired when placed on the bow and the string is pulled back and released. Description: A simple wooden stick used for combat purposes, roughly 4-5 foot long. Description: A martial arts weapon consisting of two wooden sticks connected at the top by a small chain or rope. Description: Small metal spiked objects which are placed on the ground to impede the progress of the enemy. Description: A 6-foot long staff, usually made of a very strong wood or bamboo, but sometimes it is made of metal or reinforced with metal for extra strength. Description: A short curved sword, with a blade ranging from 12 to 24 inches long (usually 20). It is more favorable to be used indoors where a longer weapon would be at a disadvantage. Description: Heavily modified version of a wood cutting axe specifically made for combat. Description: A long set of claws attached to a leather glove. Used for combat and entangling swords. Description: A long wooden pole that is either sharpened at the end, or has a sharpened stone or metal tied around it. Description: A pair of claws similar to the Tekagi, only shorter. Useful as a climbing tool or a combat weapon. Inflicts a bit more damage as well. Description: A pair of spiked knuckle casings with a large blade attached. Description: Usually forged from wood or iron, it is an excellent defensive and offensive weapon. In defense, if the handle is grasped then the shaft protects the forearm and hand while the knob protects the thumb. If both ends of the shaft are held, the shaft can be used to ward off blows and the handle can be used as a hook to catch the opponent's weapons. 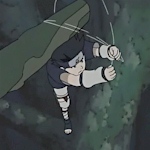 Description: A type of Senbon with a string attached, which can be used in conjunction with Medical Jutsu to heal wounds. Description: A sword with a curved blade, ranging from 24 to 36 inches long (usually 30). 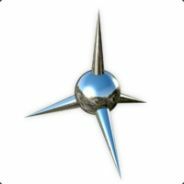 Used for close-ranged offense and defense. Description: A variation of the Medical Senbon, the Poison senbon is charged with poison rather than a medical chakra. Description: A little over 23 inches in length, the kodachi is similar to that of the wakizashi. However, unlike the wakizashi, it is always a set length and the blade is stronger and more durable than the wakizashi whose purpose was always as a supplementary weapon. The kodachi, however, can serve as a primary or a supplementary. 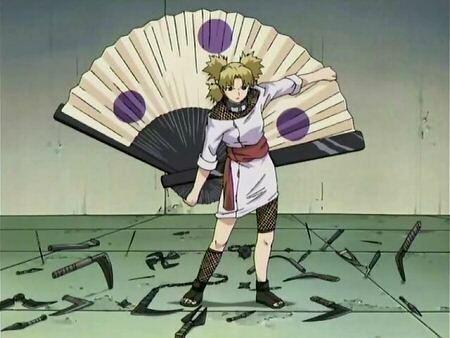 Description: An extremely over sized fan that can be combined with wind elemental Jutsu for destructive purposes. Description: A very long chain with spikes pertruding from each link. Usually used to wrap the opponent up and shred them to pieces. Description: An enormous shuriken, which the user holds by the hole at the center of the weapon. The Fuuma shuriken can be folded and unfolded for easier carrying. Description: An addition to the spiked chains, they are now equiped to a large gauntlet with sharpened claws. 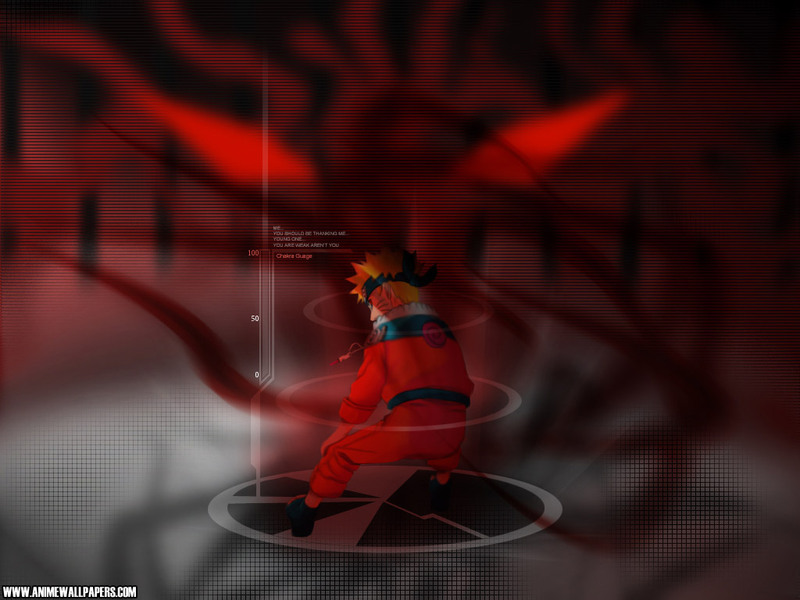 Description: A gauntlet which allows the user to control any sound amplified through the arm using their chakra. Description: A longer version of the Katana. "Nodachi" roughly translates to "field sword." These weapons may be of a wide range of sizes, the only requirement being that the blade must be longer than 3 feet. However, making a sword with a total length of over 6 feet would be impractical. This weapon requires a great deal of skill, and is often incorrectly referred to as "odachi" or "daikatana". Description: A larger version of the normal bow. While range and power are significantly increased, it is difficult to maneuver swiftly while using this weapon. Description: A pole weapon with a single-edged blade. Unlike most polearms, the shaft is oval in cross section to allow easy orientation of the blade, and ranges from 5 to 7 feet long. The blade itself is curved, closely resembling a katana, and may be 2 to 3 feet long. As such, the whole weapon may range from 7 to 10 feet long. It requires great skill and a specific style to be effective in combat, and the longer versions were never meant for dueling. Description: A simple scroll with seals inscribed on it. Can be used to store large amounts of equipment. Description: A small piece of paper with a kanji written on it. When activated it will cause a large explosion in the area. Explosion tags can be lit through touch, wire traps, fire and by using chakra from a distance (you can only activate the tags you set like this). Description: The sai is a dagger that has special prongs than can be used to break or disarm other weapons. However offensive wise it is more limited as it is specialized for stabbing. 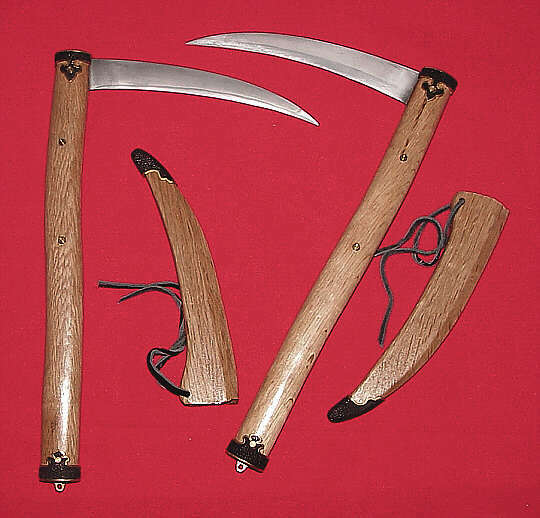 Description: The Kama is a small hand-scythe, often an improvised weapon used by farmers, and often wielded in pairs. As a weapon, both the point and sharpened edge of the metal blade are called in to use, it is suggested that it can be used to block, trap and disarm weapons. Description: A variation of the Kama that gains a chain with a metal weight at the end. 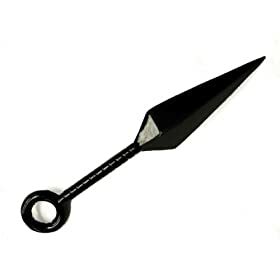 Unlike the Kamas this is used individually, as the chain is often used to steal weapons, restrict one's movement, and just about anything you could think of. This weapon requires a high level of mastery as the chain can easily be used against the user. Description: Great swords are much like Katanas and Nodaichi, however they are of much large proportions, anywhere from 8 feet to 15 feet in length. These swords tend to be so big that large amounts of strength and skill are required to wield such a weapon with out causing harm to everything in reach of the blade. Description: War hammers can vary in size from the length of a wakizashi to the length of a naginata. War hammers focus on doing blunt damage and sometimes have blades or picks built in to be more versatile. Description: A mechanical puppet, generally crafted from its own user to be used in combat. Often armed with various types of weapons and defenses; all custom. Rank: Varies depending on arsenal of Puppet.